This beautiful basket of fruit is filled to over flowing with seasonal fruits from the Okanagan whenever possible. All fruit is bought at varying stages of rypeness so that the recipient is able to enjoy their gift for days to come. 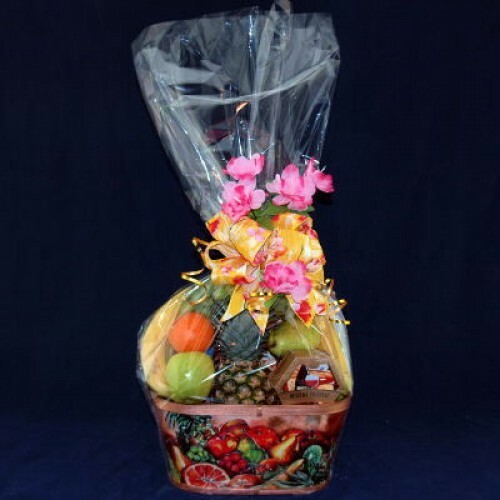 The fruit basket is loaded with different apples, oranges, pears, peaches, strawberries, raspberries, apple pears, blueberries, apricots, cherries, and many other fruits that are available seasonally. 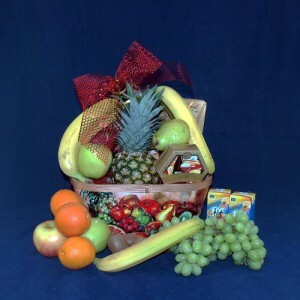 The best quality fruit is purchased the day of delivery for this basket to create this lovely basket.